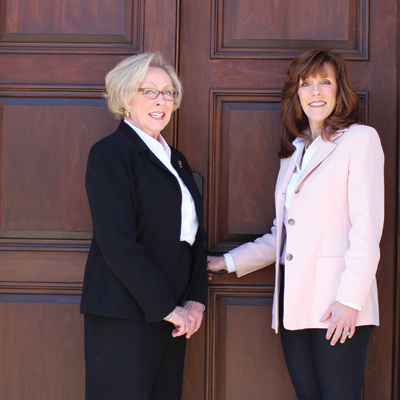 Meet the professional team of Barbara DuFour and Leanne Brooks. Together they bring over forty years experience that has earned them the highest level of respect from their real estate colleagues and peers. This native Memphis team works collectively to secure the successful outcome of buying and/or selling your home. Customer service and satisfaction are always their first priority. Lead by integrity and hard work, Barbara and Leanne are well known for their knowledgeable expertise in the real estate market. Repeat business and referrals from clients, family and friends represent a huge part of their business success. It is what they seek and what they strive to achieve. Another component of their time and energy is spent in relocation. Both are certified with national and International relocation companies. They are also lifetime members of the Multi-Million Dollar Club, Memphis Area Association of REALTORS, Tennessee Association of REALTORS and the National Association of REALTORS. They believe “community awareness comes from being community involved”! Barbara and Leanne are ready to work for you to open doors and fulfill your dreams. As a mother of two and a grandmother of six, Barbara DuFour is devoted to family. It's that same devotion that has driven her to help hundreds of families in the Memphis area find the right home or sell their existing home as an Affiliate Broker with Marx-Bensdorf, REALTORS. "I bring problem solving skills to my clients when they are not even aware that there may be problems," Barbara said. "I am entrenched in watching out for their best interest." And, judging by the many notes and comments from her clients, that's exactly what she's doing. "She educated, advised and expertly represented us throughout our house hunting all the way to closing," said client, Mark H. "I wish everyone could know what it is like to have an agent such as her on your side." And Barbara's clients thank her over and over again by referring their friends and relatives to her... 85 percent of her business comes from repeat clients and personal referrals. 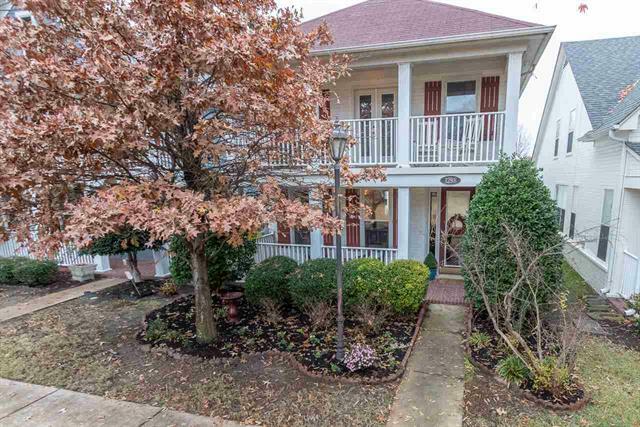 Those who entrust Barbara with the purchase or sale of their home can count on her solid education and 30 years experience buying and selling homes in the Memphis market. She also brings a special skill base to her clients who are faced with relocating in or out of Memphis. "I have training and wide experience that serve my clients well in all aspects of their relocation, both selling and buying," she said. "I am also a certified Relocation Specialist with Leading Real Estate Companies of the World, Weichert, Prudential and many other nationally recognized relocation networks." Once again, her clients agree. "We were transferred again. We hired Barbara and Marx-Bensdorf, REALTORS to sell the house for us. Despite the slowdown in high-end houses and the decline in market value across Memphis, she got us a great deal," said John and Cindy W.
As a native Memphian, Barbara also cares about the welfare of her community. "I give a portion of each closed transaction to local charities such as St. Jude Children's Research Hospital, the Church Health Center, and Union Mission, just to name a few." Professional designations and awards have enhanced and contributed to Barbara's successful career.